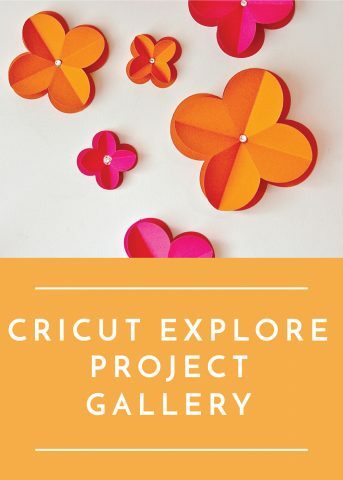 As many of you know, I rely on my Cricut Explore to make a variety of projects week in and week out including decor, gifts, labels and more. And one of my very favorite things to create with is vinyl! 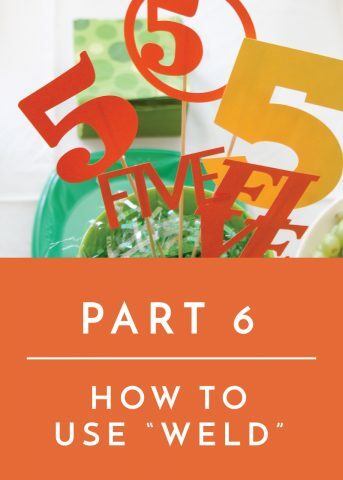 Many people feel intimidated to work with vinyl, and for good reason: it can be a little tricky to cut, weed, and apply. 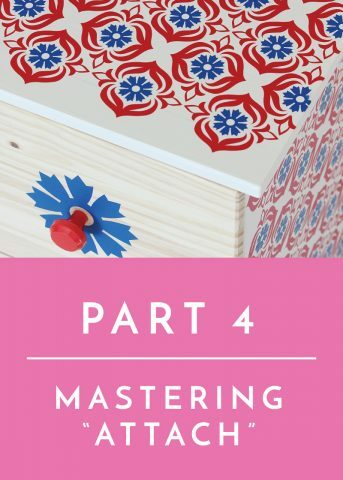 But with some good techniques and a lot of practice, it can be one of the quickest, funnest and easiest craft mediums to work with! Almost two years ago, I wrote a post detailing all my best trips and tricks for getting great results on vinyl projects. 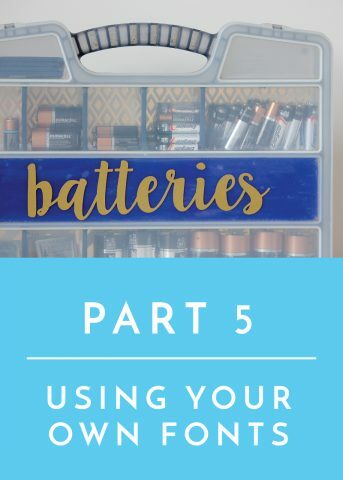 And while that post is still the most popular page on my entire site, it leaves out a large component of vinyl crafting: working with glitter vinyl! 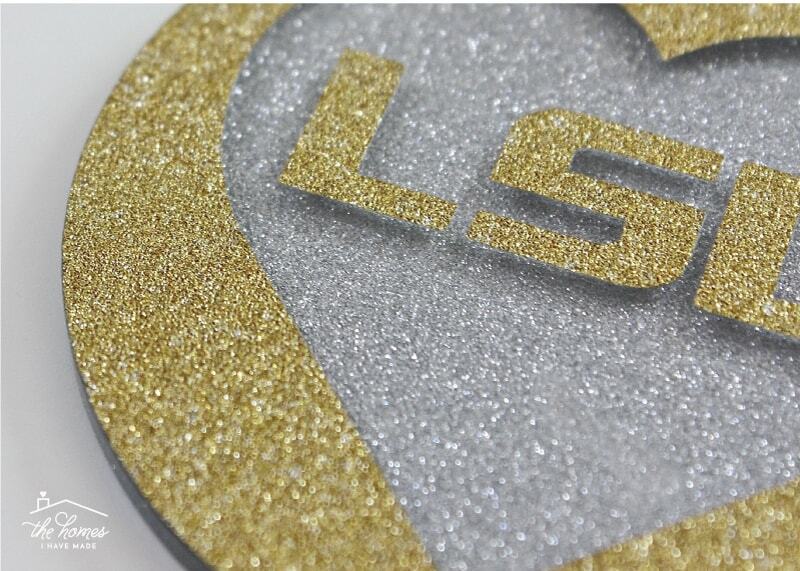 You wouldn’t think glitter vinyl is much different than standard vinyl, but it is. 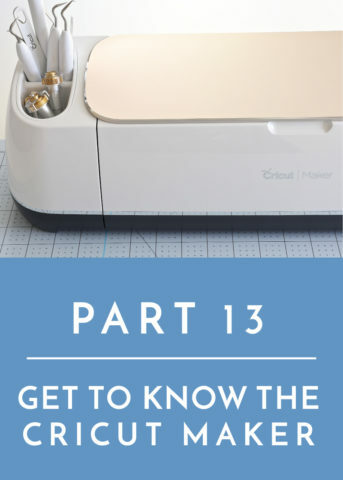 And after years of receiving many questions from exasperated readers about the nuances of glitter vinyl, I finally figured it was time to share some of the best practices I’ve learned when creating super sparkly projects! 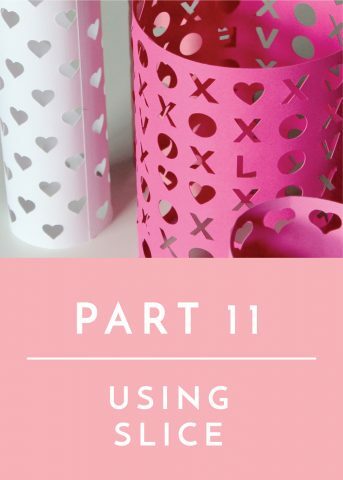 If you’ve found yourself frustrated when working with glitter vinyl or have been too scared to give it a go, here are some tips and inspiring projects to get you going! Glitter vinyl is exactly what it sounds like…glittery, sparkly vinyl. You use it in mostly the same way you would use standard vinyl. But rather than the matte or glossy finish you get with traditional vinyl, glitter vinyl gives a pretty, sparkly sheen to your designs. 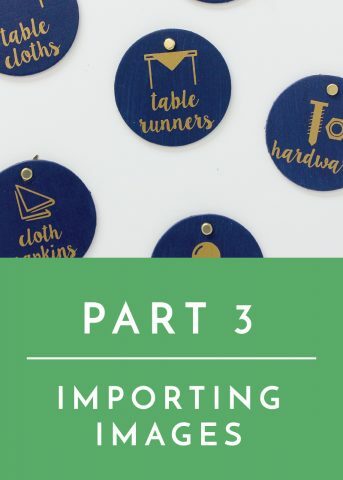 Like standard vinyl, it comes in an array of colors and can be cut with your Cricut Explore (or any e-cutter) to make any design you can dream up! Admittedly, glitter vinyl is not something I work with too much. 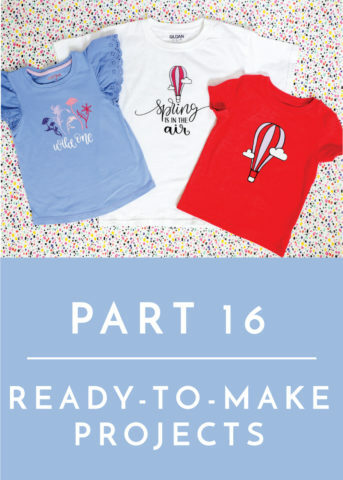 I am a boy mom after all, and sparkles are not something I personally craft with a whole lot. 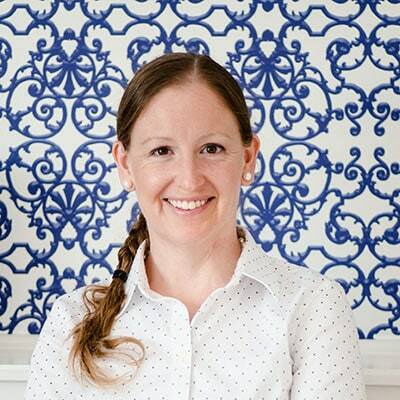 That said, I’ve used it here and there for holiday projects and gifts, and have worked with it a bunch in preparation for my Craftsy class last Fall. The sparkly texture of glitter vinyl sure gives your projects a wonderful, unique finish; but it can also be really frustrating and tricky to work with. 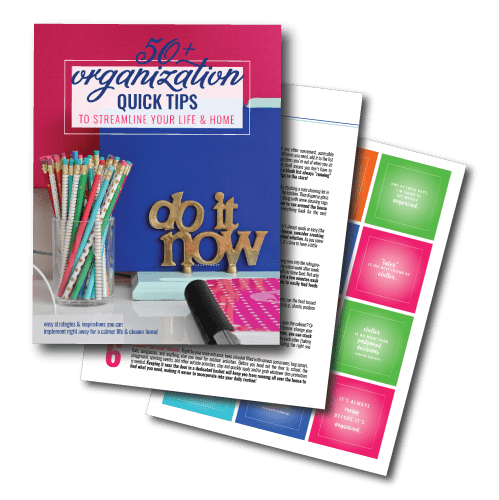 From difficulty seeing weed lines to getting your images to stick to your transfer paper, here are some things to try in order to get the same great results you’re used to. 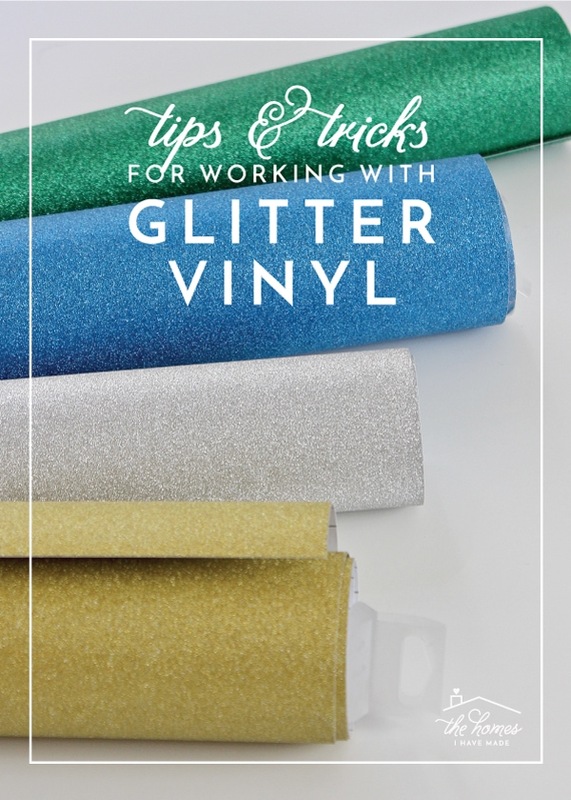 Glitter vinyl is a bit stiffer than standard vinyl, so you may need to take extra care to make sure your vinyl is firmly secured to your mat before you start cutting (or else you risk your designs not cutting well). When you first go to stick your glitter vinyl to your mat, you may notice that is has a strong tendency to curl up on itself. While you can gently bend your vinyl backwards to help relax it a bit, I find it best to just use a very sticky mat when working with glitter vinyl. 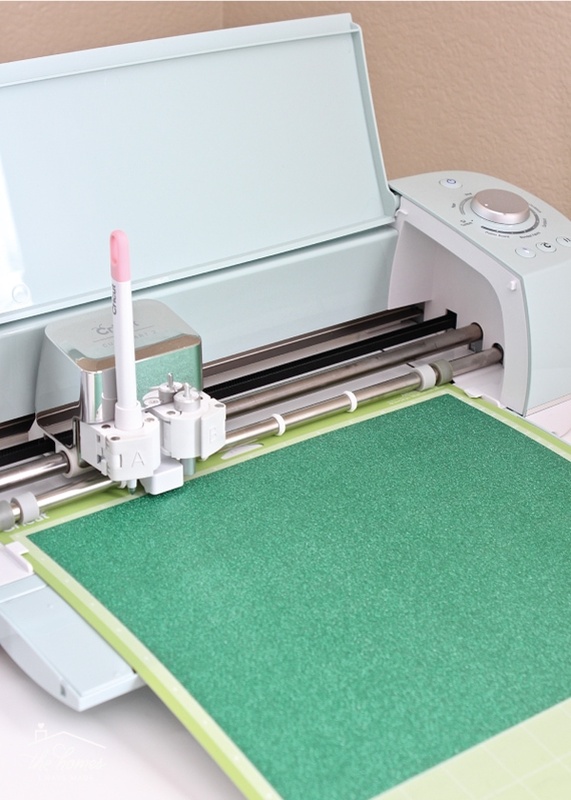 A new mat with strong stick will keep the sturdier vinyl nice and flat so your designs cut with precision. 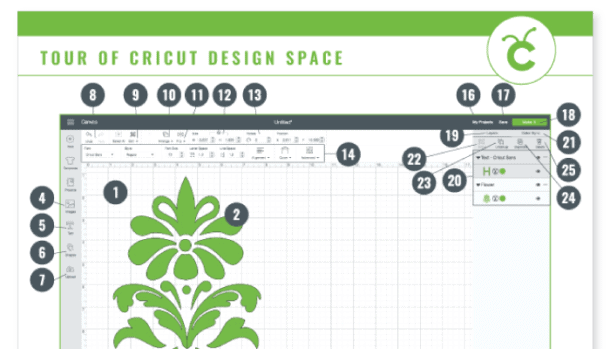 When you do this, you will be given a drop-down menu in the Cricut Design Space cut screen. 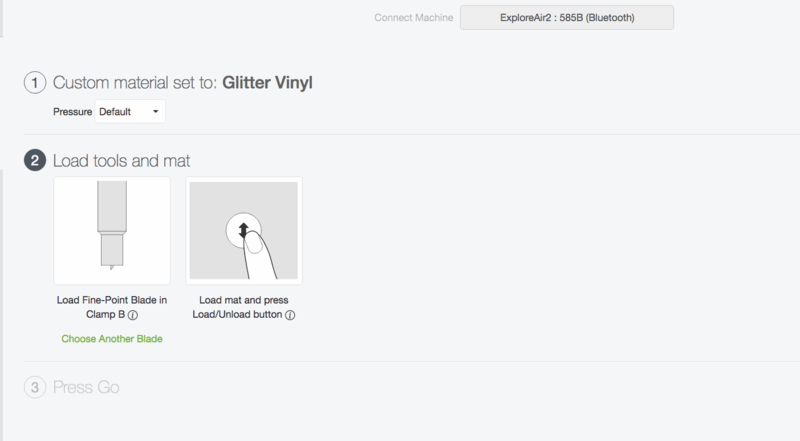 Select “Glitter Vinyl” under the Custom Vinyl options. 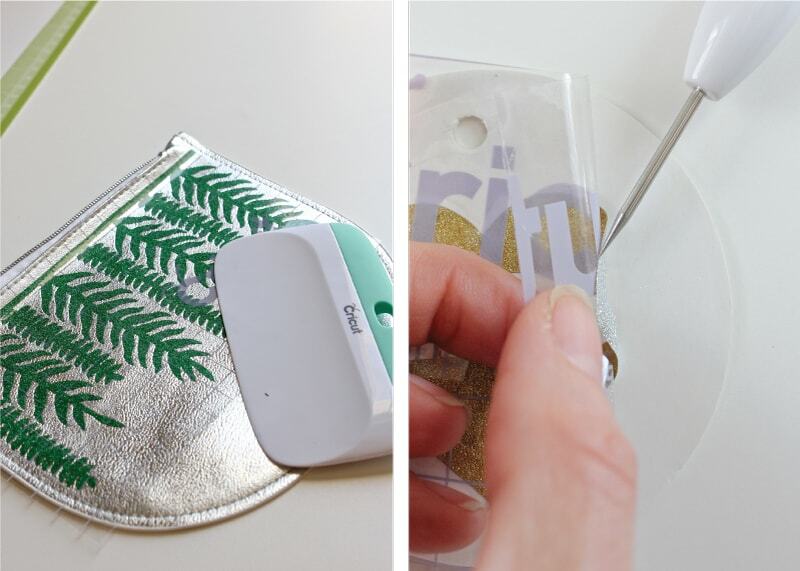 Now the Cricut Explore is perfectly calibrated to cut your glitter vinyl at the right depth! Glitter and other rough textures can dull your blade quite easily. 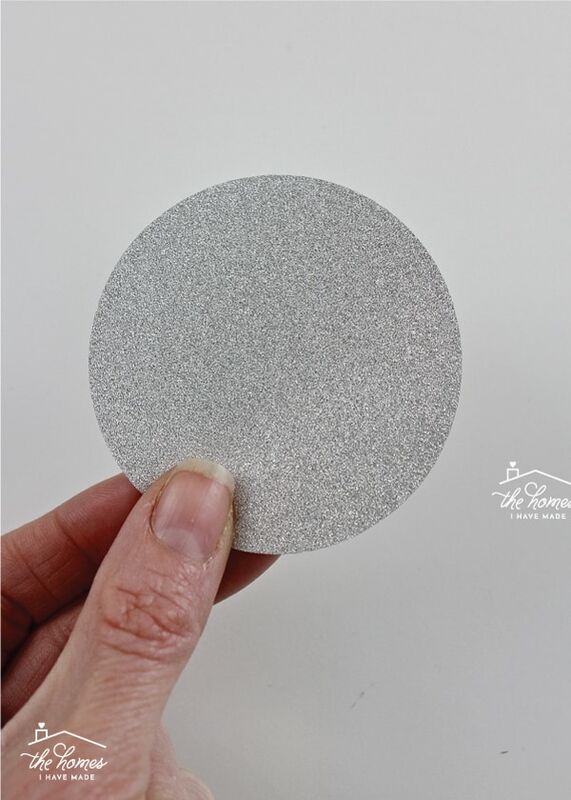 So if you are using a clean mat and your dial is set as described above but you are still getting really poor cuts on your glitter vinyl, then you may need to swap out your blade. With a clean blade and the proper dial setting, you should get the same precise cuts, even on small intricate designs, that you get with other mediums. TIP! Still having trouble? Try switching to a Deep Cut Blade. Although it’s not technically necessary for glitter vinyl, I find that this stronger, deeper blade always gives me great cuts, no matter what I’m working on! USE A WINDOW. 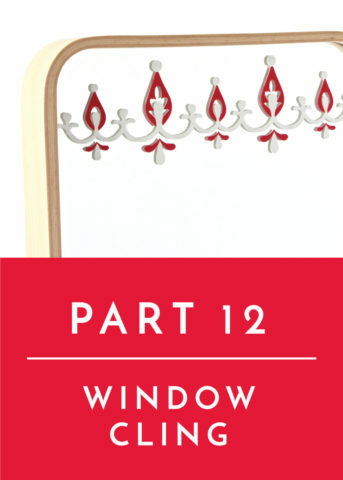 One of the best ways to illuminate your cut lines is to use a window. 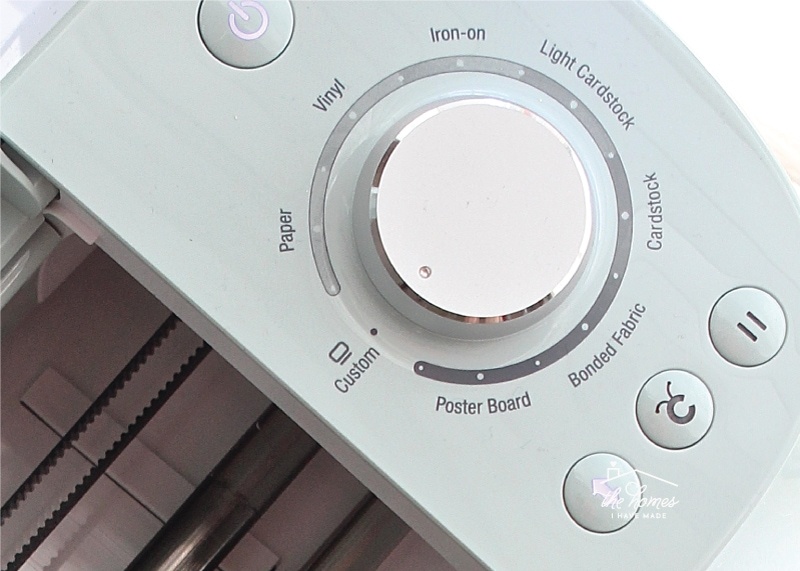 After your design is cut, remove the entire sheet of vinyl (backing and all) and hold it up to a window (during daylight). 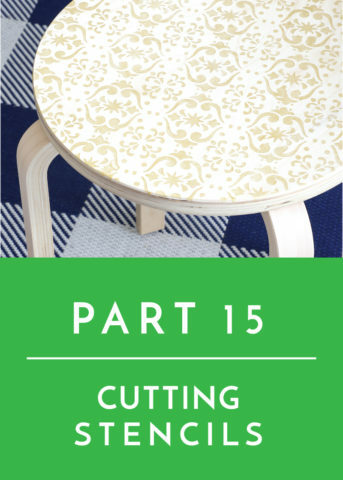 If your design is simple, simply hold it up to see the cut lines and then weed down on your work surface. 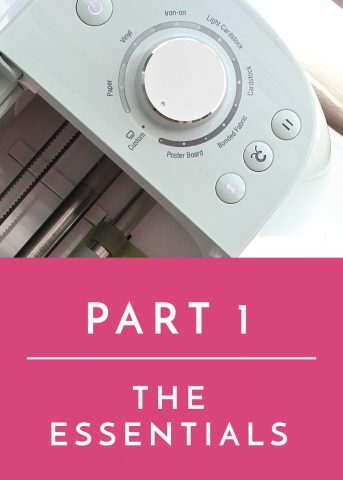 If your design is complex, tape your vinyl to the window (use scraps of Strong-Grip Transfer Paper to secure it) and weed your design up on the window. 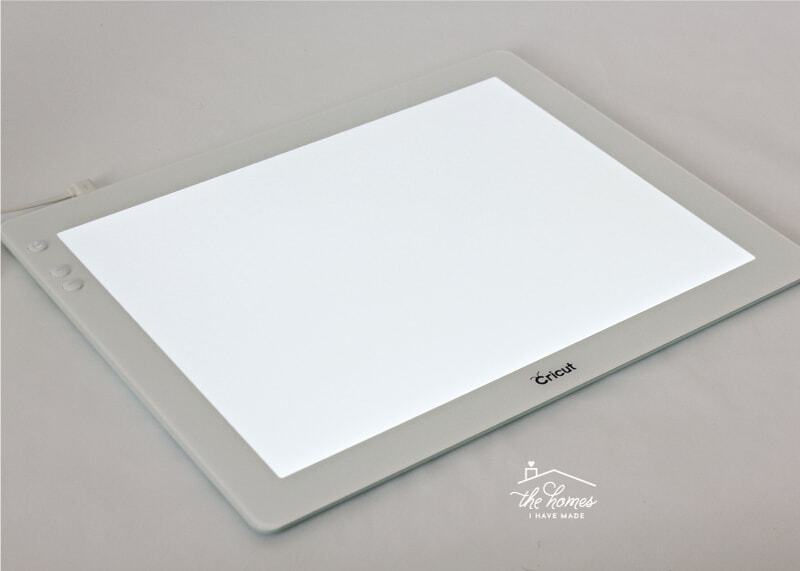 USE CRICUT’S BRIGHT PAD. 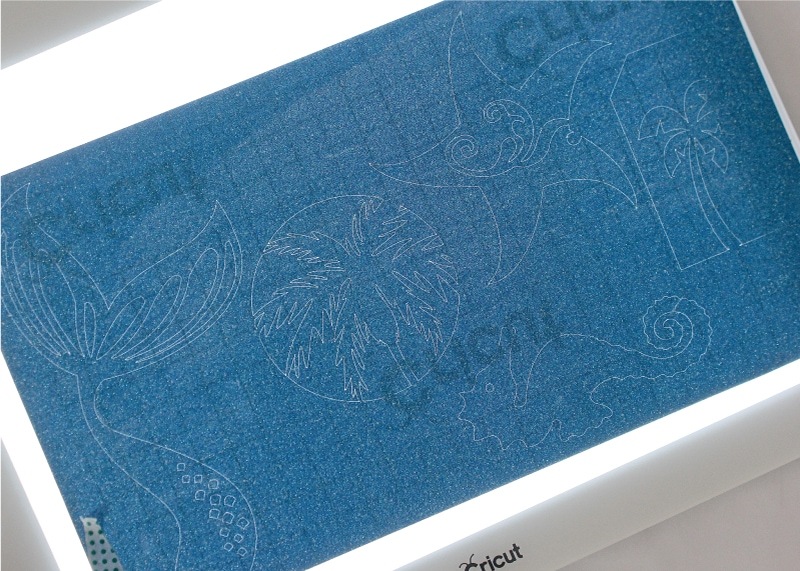 If you plan to work with glitter vinyl a lot, you might want to consider investing in Cricut’s new Bright Pad. Admittedly, I didn’t think I’d use this gadget a whole lot, but I LOVE its sleek design, ease of use, and how well it lights up projects. 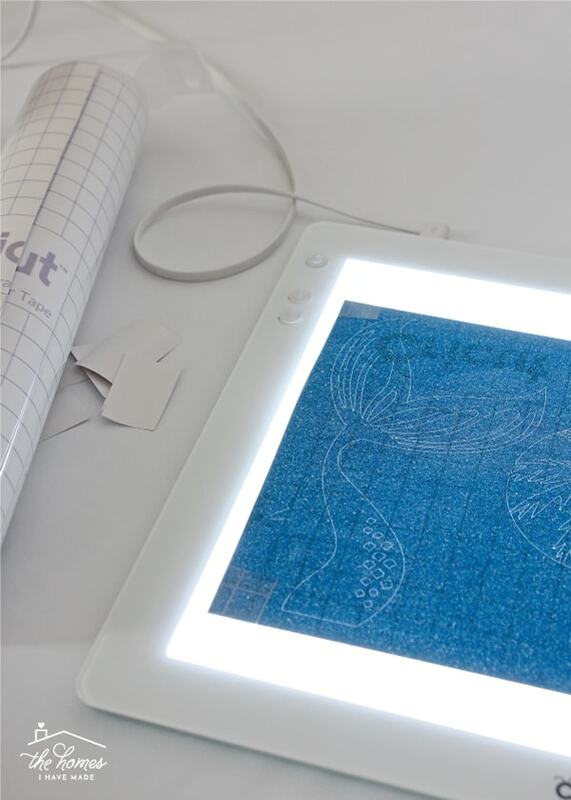 All those intricate cut lines that can be very hard to see without illumination are crystal clear! I love that the Bright Pad makes complex weeding a breeze, but it also really helps with layering too! TIP! I find taping my cut vinyl to the top of the Bright Pad with extra scraps of Strong-Grip transfer paper is best for keeping the vinyl still while you weed. 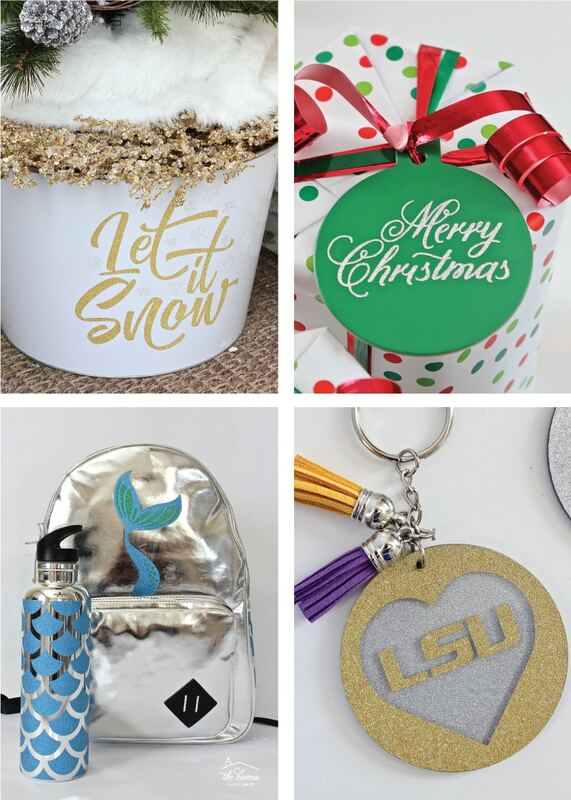 Do You Have to Use Transfer Paper with Glitter Vinyl? One of the coolest things about glitter vinyl is that you don’t necessarily have to fuss with transfer paper, depending on your design and what you’re making. Remember that stiffness I was talking about earlier? 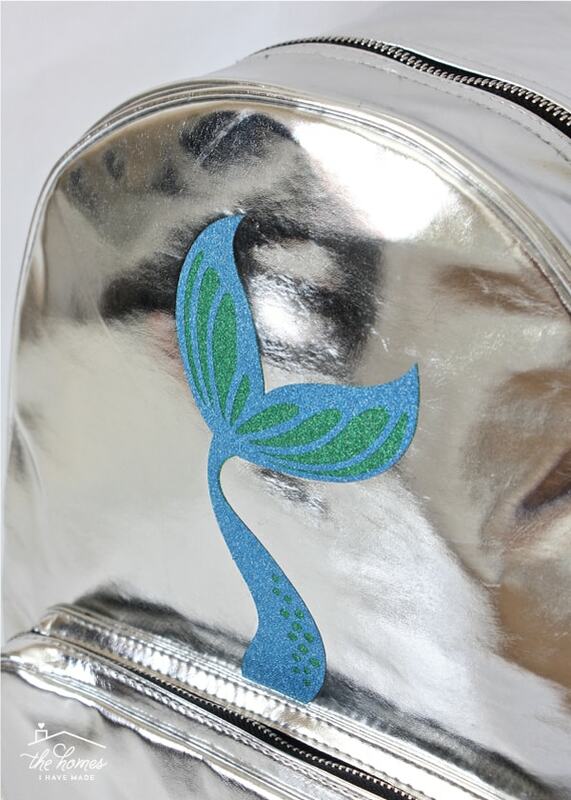 Well, it’s that stiffer, firmer texture that helps glitter vinyl act more like a sticker than standard vinyl. Meaning? Glitter vinyl isn’t nearly as flimsy so it won’t fly around, distort, or stick to itself in the same way standard vinyl does. 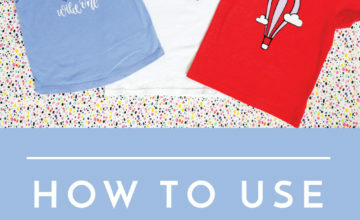 This means that if you have a fairly simple design that doesn’t require layering or precise spacing, you likely don’t need to use transfer paper. 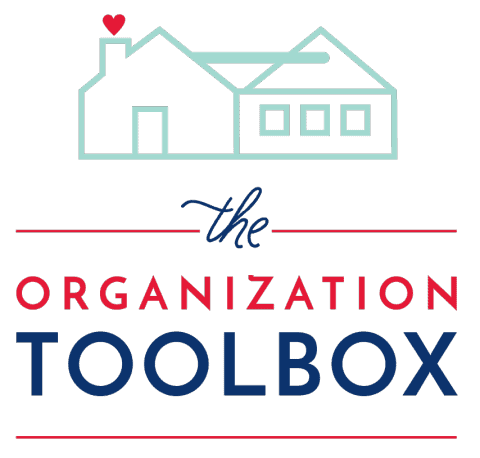 Simply peel it up off the paper backing (use tools if necessary), and place as you would a sticker (see image below). 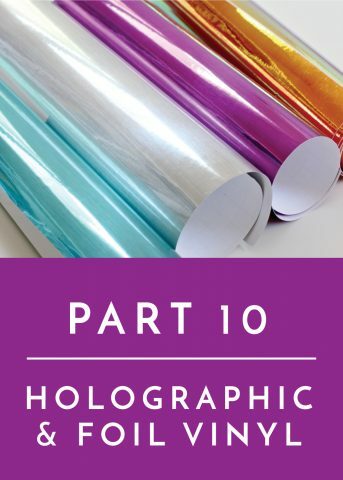 I cannot tell you exactly when you do and do not need to use transfer paper on your glitter vinyl projects, but here’s a good guideline: if you can easily peel up your design without ripping or distorting it, you likely don’t need to use transfer paper! All that said, there may be times when you absolutely should use transfer paper with glitter vinyl. 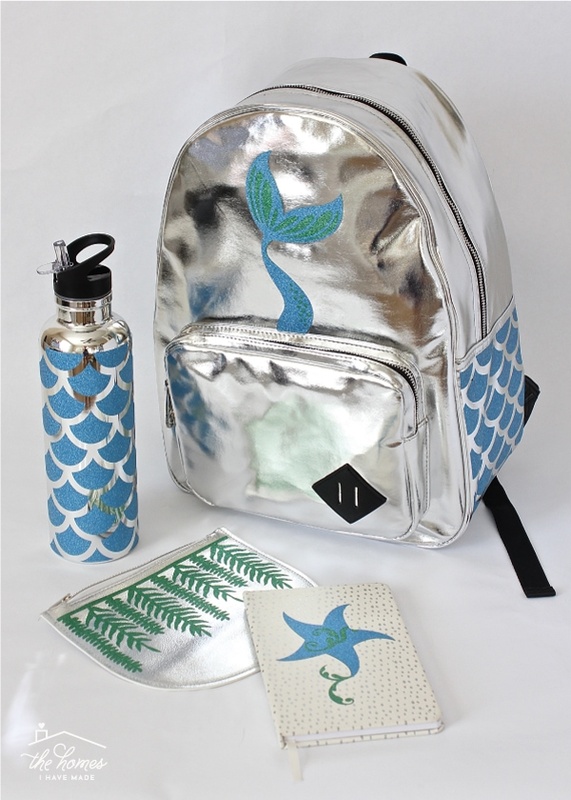 Some examples include a project that requires very precise spacing (like my mermaid backpack), or designs that have disconnected elements, small details that could easily rip/distort, or multiple layers. 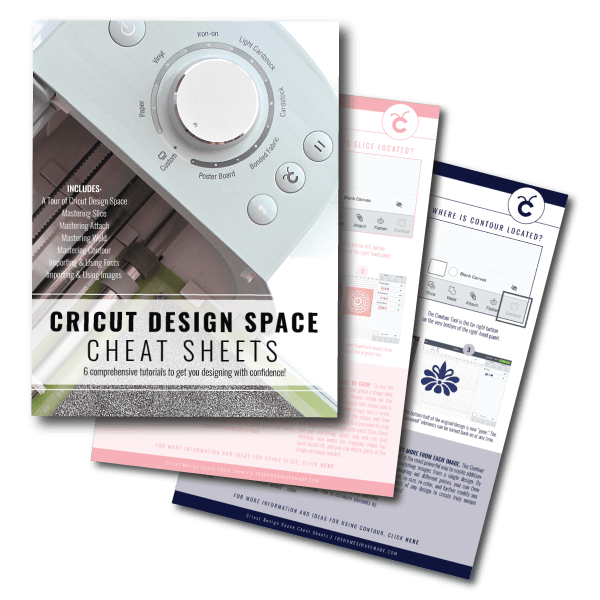 In these instances, transfer paper will make moving your design from your cut mat to your final project so much easier. BUT!!!! 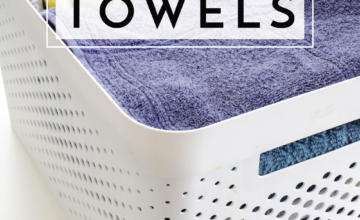 You can’t use just any old transfer paper you have lying around! That same sparkly texture that makes glitter vinyl difficult to weed also makes it more difficult to pick up with transfer paper. 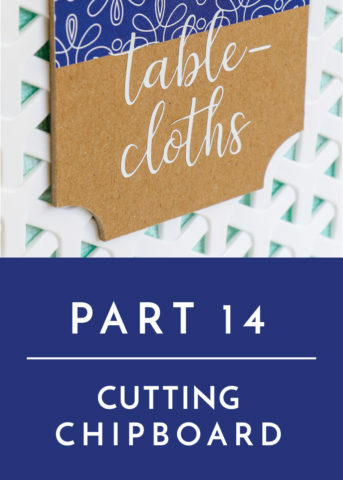 Therefor, Cricut makes a Strong-Grip Transfer Paper specially designed for glitter vinyl projects. TIP! 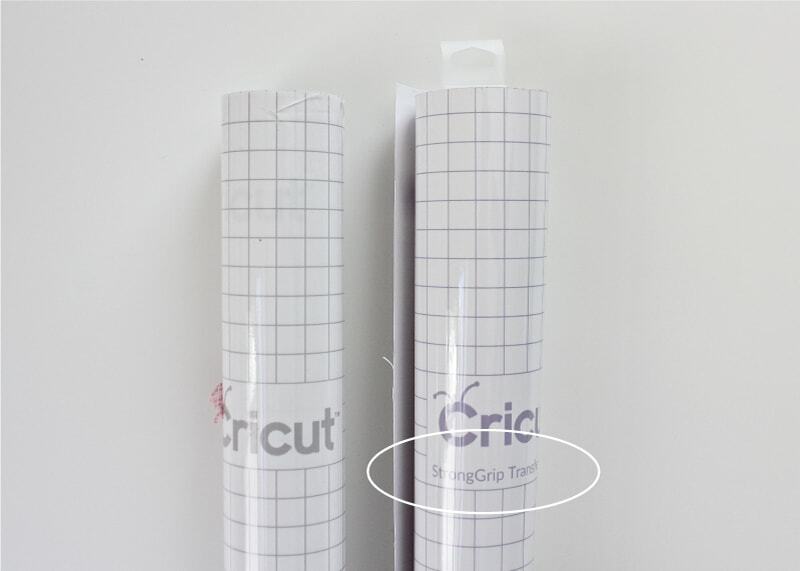 Every roll of Cricut-brand glitter vinyl comes with a sheet of Strong Grip Transfer Paper inside the roll. If you find you need more than what is provided, you can buy it by the roll too! TIP! The difference in “stickiness” between Standard and Strong-Grip Transfer Paper is significant. 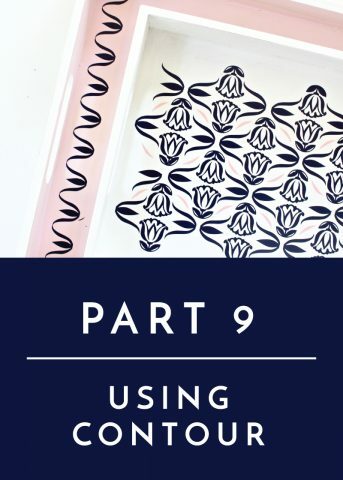 If you are working with standard vinyl and cannot get the transfer paper to let go of your project, double check that you aren’t using Strong-Grip. Strong-Grip Transfer Paper says it right on the roll! Use your tools, especially the scraper and weeding tools. Use your scraper tool with a lot of pressure, on the outside of your transfer paper, to really stick the vinyl to your project (below left). 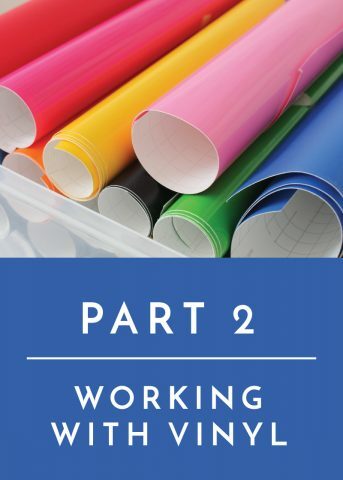 Use your weeding tool to carefully separate the lead edge of your design from the strong-grip transfer paper. 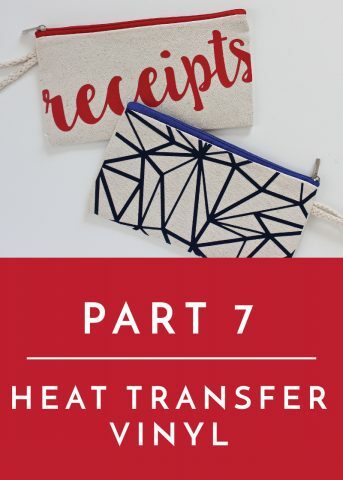 Once the lead edge of each element is stuck to your project, it will usually separate from the transfer paper as you carefully pull the transfer paper away (below right). Don’t rush. Yes, I repeated this on purpose. Like anything, working with glitter vinyl can require some patience and practice. You’ll get the hang of it! 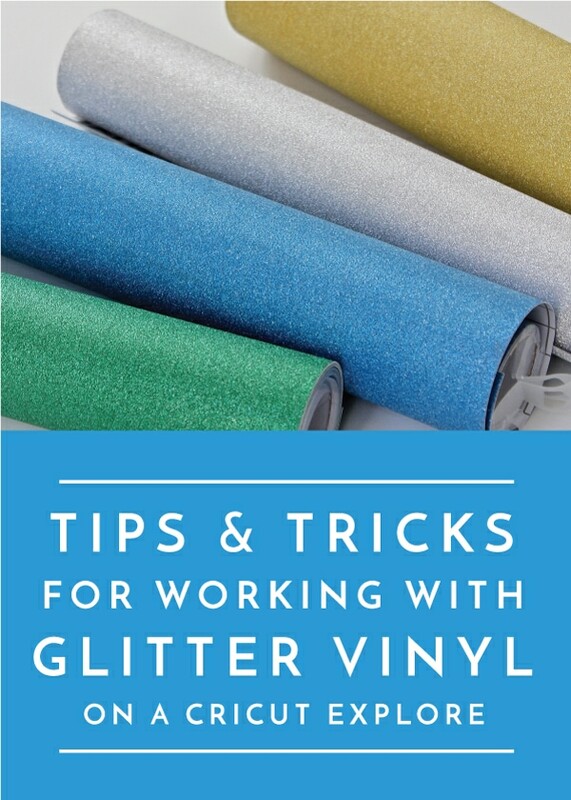 Can You Layer Glitter Vinyl? 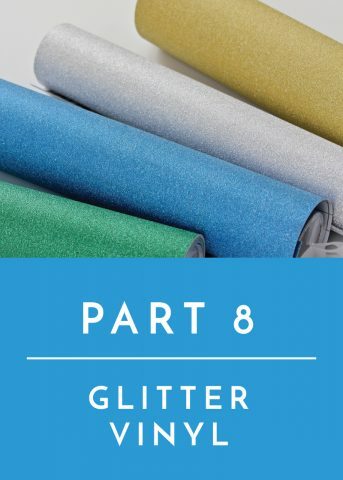 Even though glitter vinyl does have that rough, sparkly texture, it can still be easily layered for multi-colored projects. I do recommend using transfer paper to layer designs with precision; and I don’t recommend layering more than 2-3 colors because it can get quite thick. I’d love to know if you’ve worked with glitter vinyl before!! 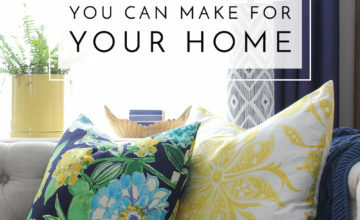 What have you made? Did you get frustrated? Any tips and tricks you’ve discovered for getting great results? Please share in the comments! I obviously have some glitter vinyl projects to share with you in the coming months (all those you see in this post! ), but I wanted to be sure I got all these tips out for you before diving into each project tutorial. 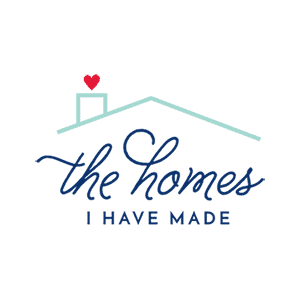 Back here on Friday, we’ll be shifting gears to a home update I’ve been meaning to share with you! See you then!